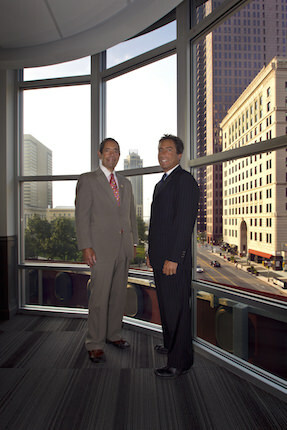 At The Robert Weiler Company, we’re not pompous or arrogant about our success in the commercial real estate industry. Instead, we’re proud of our accomplishments; we value our reputation as a Central Ohio commercial real estate industry leader; and we take great pride in the positive impact we’ve made in the many communities of Central Ohio. Since opening in 1938, our goal has been to help build flourishing communities, and strengthen the sense of pride in where we all live. But, to know where we’re headed and what the future holds, it’s important that you know how and where we started. Having the ability to dive into projects, such as the development of Polaris and the Highpoint on Columbus Commons, doesn’t just happen overnight. The Robert Weiler Company was founded in 1938 by A. Robert Weiler, a man who was dedicated to the commercial real estate industry. By 1945, our company started to develop single-family housing, which grew tremendously for nearly 15 years. From there, our accomplishments continued to grow, as we were responsible for the first FHA subdivision in Central Ohio, in 1955. The achievements didn’t stop there, as throughout the 1970s, we continued to build apartment complexes, retail centers, and warehouse developments in the area. During the period of immense growth from the 1950s-70s, not only did our accomplishments grow, but also did the amount of family involved in The Robert Weiler Company. In 1957, Robert J. Weiler, Sr. (known to colleagues, friends, and family as “Bob”) joined the company. And since this has been, and will always be, a family business, the tradition of family entering the company continued in 1985, as Robert J. Weiler, Jr. (affectionately known to friends and family as “Skip”) came aboard. His addition in 1985 marked the third generation of Weilers to be a part of the business. Our company’s reputation is well respected; not only within the walls of our offices, but within the community, as well – something we take tremendous pride in. When Robert J. Weiler, Sr. joined The Robert Weiler Company in 1957, he knew big things were ahead. Although this move occurred within the company, not long after coming aboard, he became the company’s president. His reputation as a team player and asset to the Columbus real estate community was noticed outside of the office: In 1976 he was named the President of Columbus Board of REALTORS® (www.ColumbusRealtors.com); in 1986 he was named the President of Columbus Board of Education; and in 1998, he was named the Chairman of the United Way. Enough About Our Past; Work With Us in the Present! We can tell you about our past all we want, but we’re making major strides in the real estate industry today, with a lasting positive impact on the many Central Ohio communities. We’ve been at the helm of Central Ohio real estate for almost 80 years, providing top-notch solutions for commercial real estate. Call The Robert Weiler Company at 614-221-4286 and let us help you with your real estate endeavors!